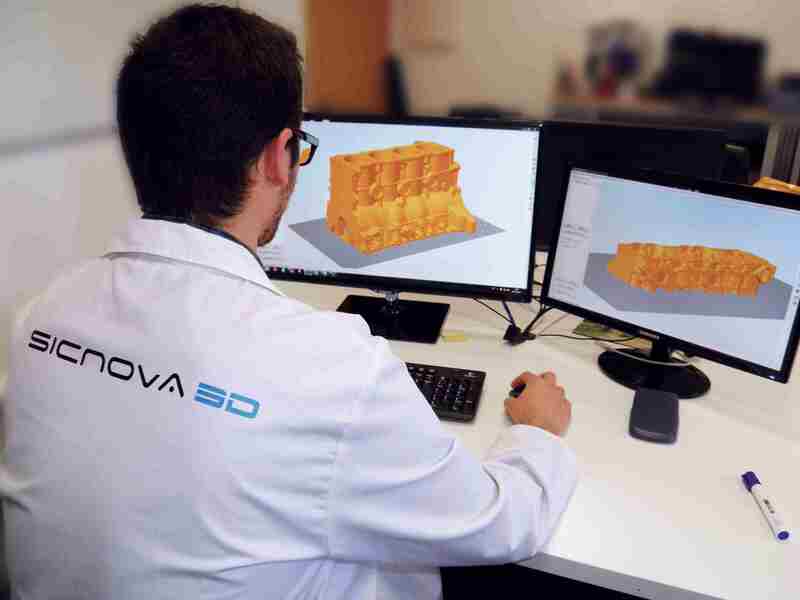 Grupo Sicnova has a decade of experience in 3D technologies, by distributing in Spain, Europe and Latin America some of the main brands of 3D sector. On one hand it commercializes a broad portfolio consisting both of 3D printers and 3D scanners of renowned brands, such as 3D Systems, Ultimaker, B9Creations, HP, Markforged, Shining 3D, LMI, RX Solutions, Kreon and others. On the other hand it has a R&D Lab which develops products like the industrial FDM 3D printer JCR 1000, CloneScan 3D automatic body scanner, and digitalization cabins for control quality tasks. Grupo Sicnova offers turnkey solutions for the digital transformation of the production process of its customers, based on advanced manufacturing technologies. This is possible through the combination of a high-qualified technical staff and a huge portfolio of several 3D technologies for manufacturing and digitizing.